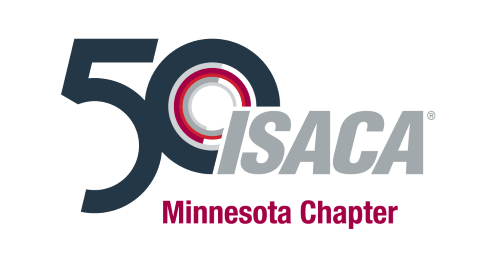 In this presentation, Christopher Buse will tap his eleven years’ experience as Minnesota’s first State CISO to discuss the foundational pillars of successful cyber security programs. Security leaders get inundated by vendors that pitch tools as a panacea to address cyber threats. However, expensive tools do little to reduce risk in the absence of a comprehensive cyber security program. Christopher will begin by discussing the importance of developing a formal cybersecurity service delivery model to communicate exactly what needs to be done, and why. Christopher will also explain how to use supporting policies and standards to establish a risk-based bar for each service. To move from where you are to where you need to be, Christopher will provide insight into ways to use cyber security strategic and tactical plans to communicate program gaps and address shortcomings. And finally, Christopher will discuss why every security leader needs a strong metrics program to both manage operational risks within security services and to help executive leaders understand the overall risk posture. Christopher Buse serves as Deputy Legislative Auditor for the Minnesota Office of the Legislative Auditor, providing oversight of all financial and information technology audit work. Before assuming this role in December 2017, Christopher served as Assistant Commissioner and Chief Information Security Officer for the State of Minnesota’s central technology agency, known as Minnesota IT Services. In this capacity, Christopher was responsible for designing and implementing the enterprise security architecture for state government. He also oversaw other technology leadership services, including geospatial information systems and strategic procurement. Christopher Buse graduated from St. Cloud State University in 1986 with a Bachelor of Science degree in Accounting. Since graduation, he has supplemented his accounting degree with numerous computer science and management information systems courses. Christopher is a Certified Public Accountant, Certified Information Systems Auditor, and a Certified Information Systems Security Professional. RSM; 801 Nicollet Mall Ste. 1100 Minneapolis, MN 55402 – Conference Room M; West Tower 11th Floor. Update (1/15/19) - We were informed today that parking will not be able to be validated. Our apologies on this inconvenience.